You can export your project into sequences that can be imported in non-linear editing (NLE) systems. 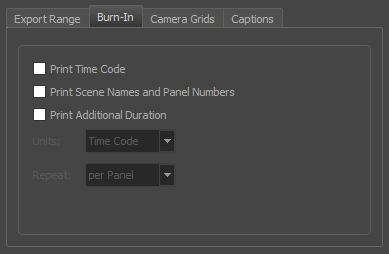 This can be useful if you just created your storyboard and prefer making it into an animatic using video editing software, of if you're ready to edit the finished shots together and want to use the animatic as a template for the final cut. Editing Decision List (.edl): A legacy video editing format that can be imported in most editing software, but which has limited capabilities. Can be imported in Final Cut Pro 7, Avid Media Composer and Adobe Premiere. Advanced Authoring Format (.aaf): A binary video editing format with advanced capabilities that can be imported in Avid Media Composer, Adobe Premiere, Avid Xpress and Sony Vegas. It has some incompatibilities with the transitions supported by Storyboard Pro. Final Cut Pro XML Interchange Format (.xml): An XML video editing format that can be imported in Apple Final Cut Pro and Adobe Premiere. It is fully compatible with the capabilities of Storyboard Pro. 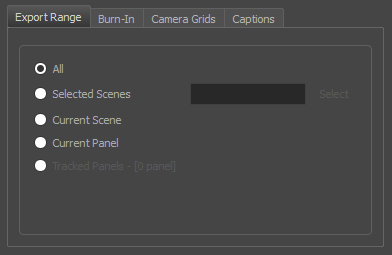 When exporting your project into an editing sequence, Storyboard Pro creates a video render of all the scenes in your project, copies each sound file in your project, and creates a sequence file that links to these assets, with the same timing for each video and sound clip as in your project. WARNING The following steps are for exporting a sequence for editing in third party software, but will not allow you to apply the changes made to your animatic in the editing software back into your Storyboard Pro project. If you want to make changes to your animatic in a third party software, then apply these changes to your Storyboard Pro project, see About Conformation. NOTE See Export to EDL/AAF/XML Dialog Box to get more details about the options. Generate EDL file: Can be imported in Final Cut Pro, Avid Media Composer and Adobe Premiere. NOTE Due to limitations with the EDL format, only the first four audio tracks in your project can be exported, and sound clips that are used multiple times in the project will only appear one time in the exported sequence. Generate AAF file: Can be imported in Avid Media Composer, Avid Xpress, Sony Vegas and Adobe Premiere. NOTE Due to limitation with the AAF format, Slide-in and Slide-out transitions will be converted to Dissolve transitions, Clock Wipe transitions will always be exported as 12 o’clock (0 degree) clockwise transitions, and Edge Wipe transitions will be exported as either Horizontal, Vertical or Corner Wipe transitions. Generate XML file: Can be imported in Final Cut Pro and Adobe Premiere. NOTE If your editing system is not mentioned above, check its specifications to verify which format can be imported. Movie Format: Movie clips can be exported in Windows Media Video (*.wmv) format on Windows and in QuickTime Movie (*.mov) format on either Windows or Mac OS if QuickTime Player is installed. This option cannot be changed if only one movie format is available for export. NOTE Not all editing systems support importing Windows Media Video files. Check with your software’s documentation to see which movie file types are supported. Video Config: Click this button to configure the video settings. When exporting in QuickTime, this allows to set the video codec, framerate and quality. When exporting in Windows Media Video, this allows to set the variable bit rate quality. 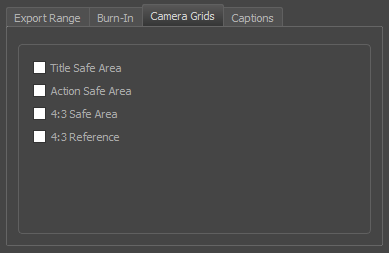 The resolution drop-down right of the Video Config button can be used to define the output resolution, since you might not always need to export the storyboard at full resolution. 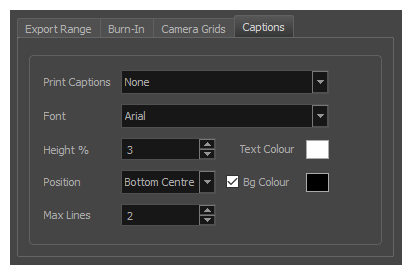 You can select Full, Half or Quarter of a project’s resolution. 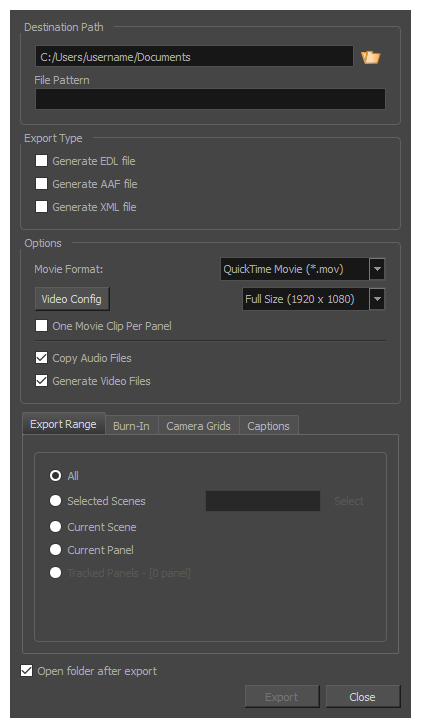 One Movie Clip Per Panel: Exports one video file for each panel instead of for each scene. This can help obtain better granularity during editing, since the sequence will have smaller movie clips. Copy Audio Files: Uncheck this option to skip copying the sound files. By default, the project’s sound files are copied to the same directory as the EDL/XML/AAF files and the video files when exporting. NOTE When this option is unchecked, the project’s audio tracks and their editing data will still be exported into the EDL/XML/AAF sequence. Only the actual sound files will be missing. Generate Video Files: If you only need the EDL, AAF or XML files to be generated, uncheck this option so no video files are rendered. You can now import the sequence into a third party editing software. Refer to the documentation of your editing software for information on importing the sequence into a project and editing it.